More and more we are seeing beautifully designed weddings with deeper hues and warmer tones. 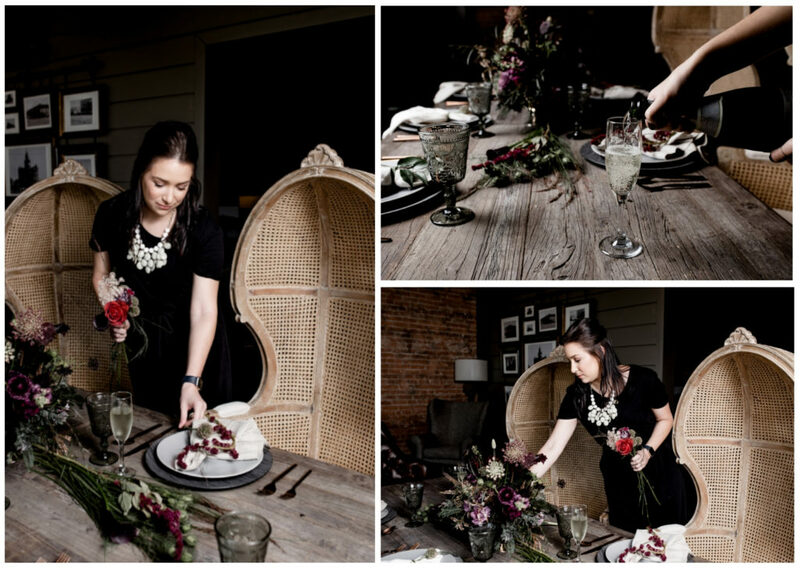 In the spirit of the seasons finally changing in Texas and our love of the moody wedding trend, we wanted to share some photos from this gorgeous styled shoot we recently were a part of. One of our lead Dallas wedding planners, Corrine, was thrilled to tackle this project. “This whimsical, fall-inspired shoot captured the rustic beauty of a Texas autumn. 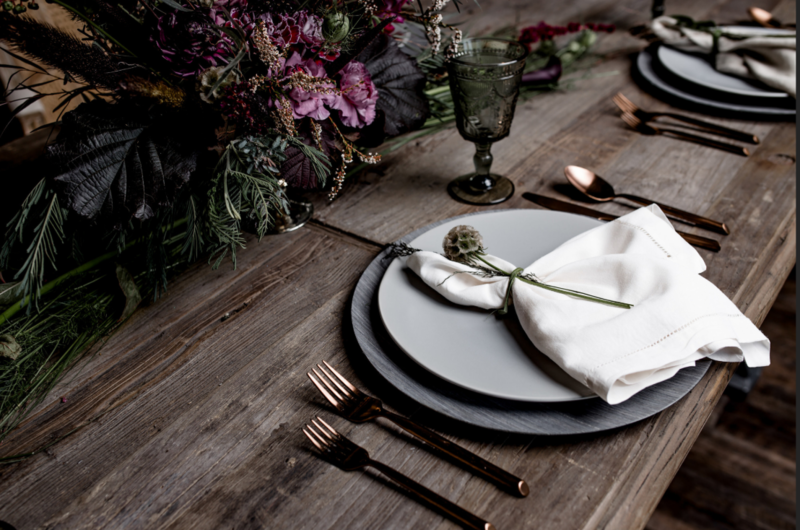 Monroe Pearson’s masculine yet chic setting provided the perfect backdrop for the deep hues of the foraged floral, inspired by the cooler months. Stepping away from the lighter colors of Spring and Summer, the team looked to rich tones to create a garden-like framework around the bride.”, she said. Oftentimes, couples plan their weddings around softer color palettes showcasing whites, neutrals, and pastels. As much as we love these weddings, those are not the only tones available to choose from on your wedding day. Recently we’ve seen a rise in popularity for the moody wedding color palettes. With that being said, this styled shoot has made us even more excited about the trend! Have you been considering a similar look for your wedding day? Our team of Dallas planners would love to help make your dream wedding come to life! Click here to fill out a contact form and someone will be in touch with you shortly. This entry was posted in Uncategorized on December 4, 2018 by admin.